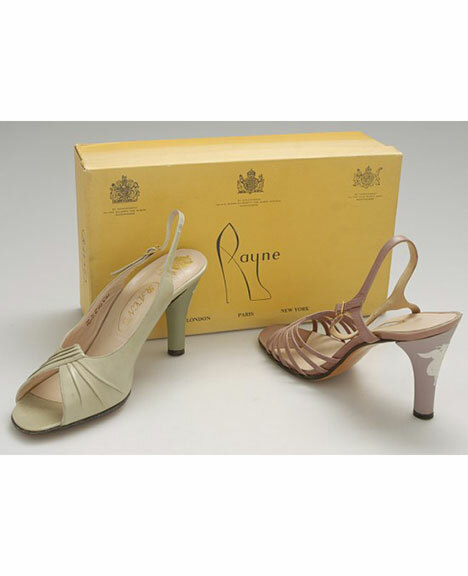 In the late 1950s, Wedgwood made some shoe heels for the H & M Rayne shoe company, suppliers of footwear to HM Queen Elizabeth. 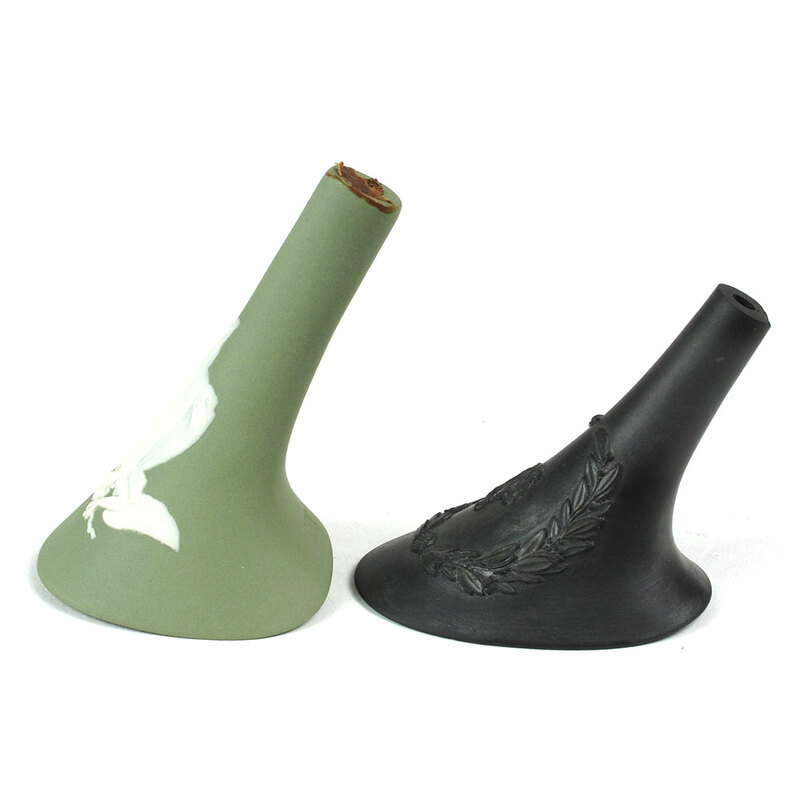 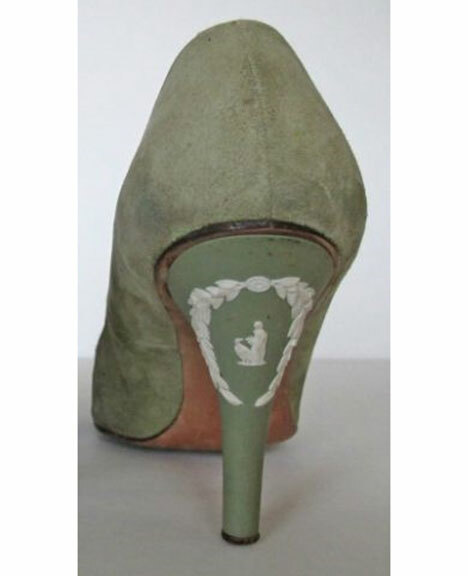 They made Her Majesty’s wedding shoes in 1947 and a decade later Edward Rayne came up with the idea of Jasperware high heels. 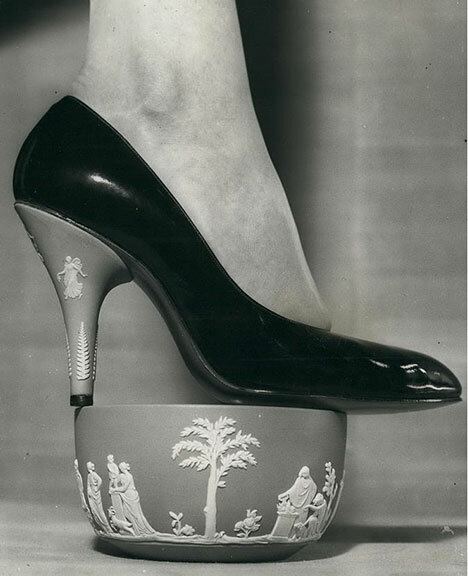 Wedgwood’s in-house magazine of 1958 talks about the exhaustive trials that were necessary before the first batch was delivered to H & M Rayne for fashion shows in America at the New York’s Plaza Hotel and the National Shoe Fair in Chicago. 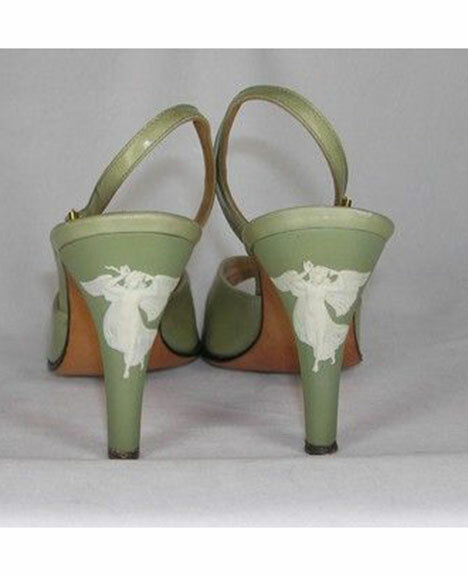 More styles made their debut in 1959 and again in 1977 when the shoe heels were reintroduced in shades of primrose, pale blue, lilac and sage green, like the one at WMODA. 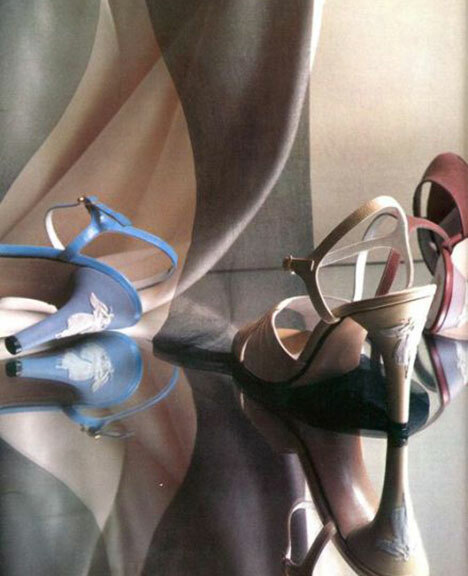 Vogue magazine in March 1979 shows some strappy sandals with Wedgwood heels, featuring one of their Zephyr bas-relief ornaments. 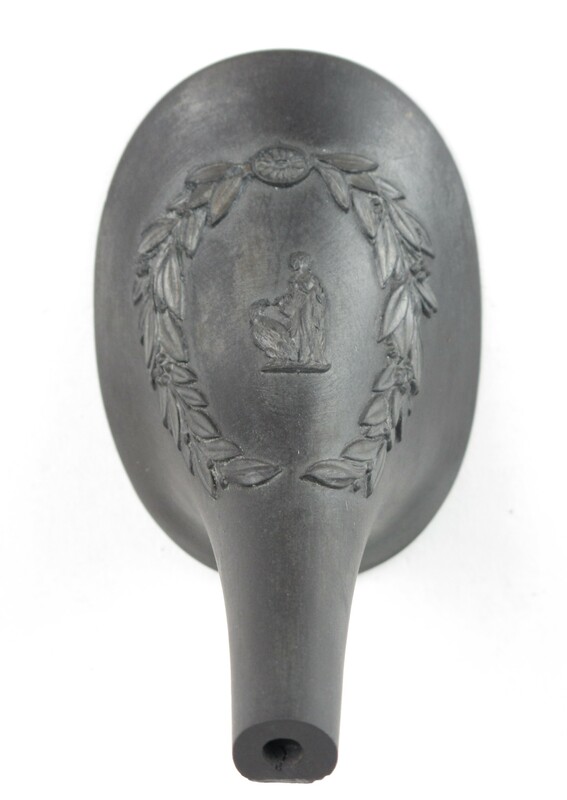 The Zephyr relief was first modeled by Thomas Stothard for Wedgwood in the 1780s.